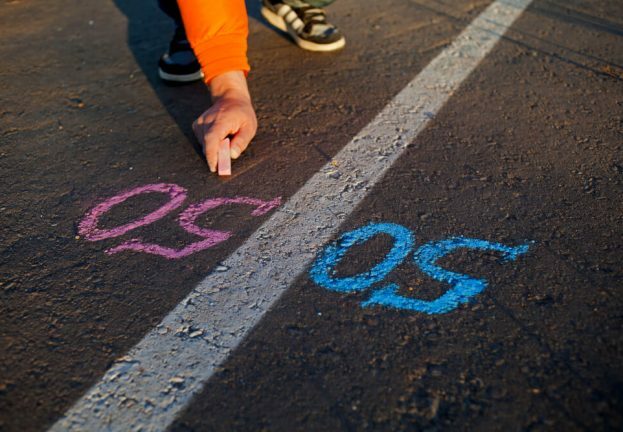 A lot has changed over the last decade when it comes to cyberattacks and the threat landscape. We have seen an evolution of cyberattacks moving from cybercrime for monetary gain, to strategic cyberwarfare, nation-state (government) hacking intended for political disruption and attempts to cause catastrophic damage at scale. ‘Critical infrastructure,’ which consists of industries and systems that underpin American society (and serve as the backbone of the economy, security, and health) are some of the most vulnerable and fragile systems that, if penetrated, can cause irreparable damage. 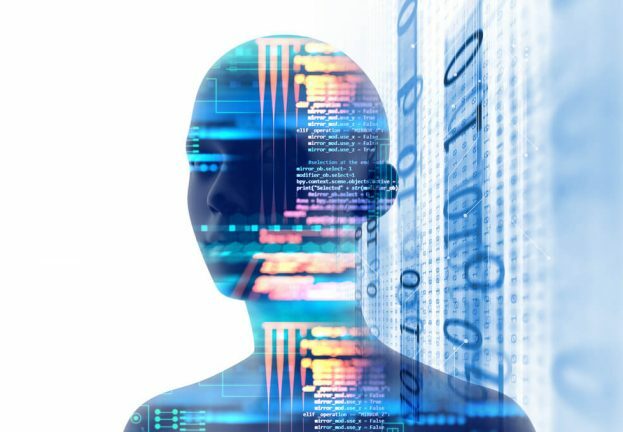 With so many of these systems growing ever more interconnected, the likelihood of such cyberattacks continues to rise. November is National Critical Infrastructure Security and Resilience Month in the US, and is intended to build awareness around critical infrastructure while reaffirming the nationwide commitment to keeping communities safe and secure. For us, it raised the question of what Americans know about critical infrastructure attacks, and the perceptions about these types of threats. 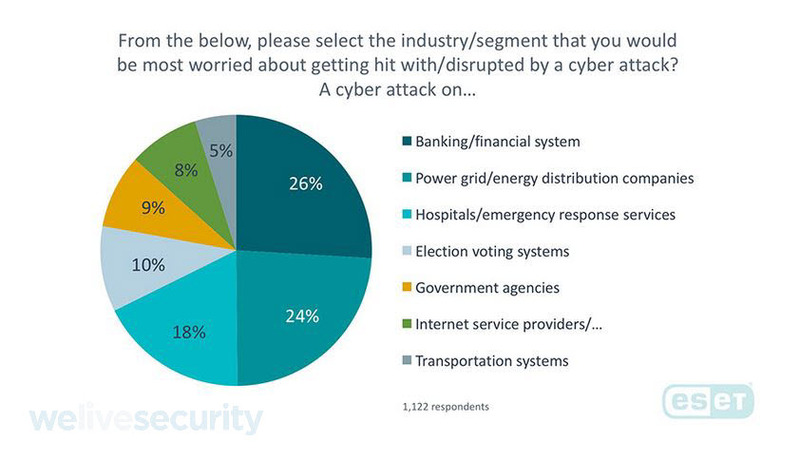 Our survey found that Americans are most worried about a cyberattack disrupting the financial/banking system, more than attacks against hospital/emergency services, voting systems, or power grid/energy supply companies. 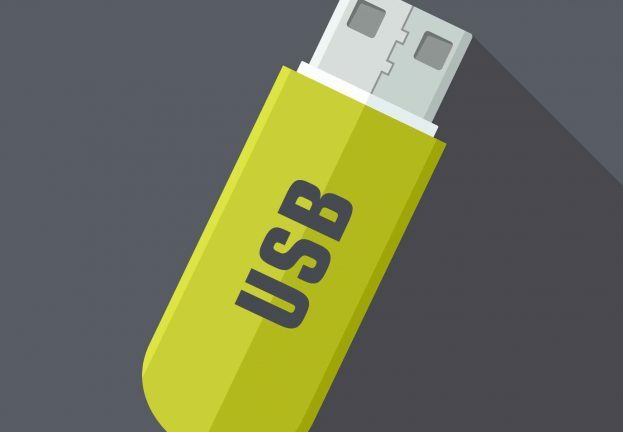 And although many do know that physical damage can occur via hacking tools, people still believe that the financial/banking industry is their top concern when it comes to cyberattacks. Take a look at the findings broken down below. 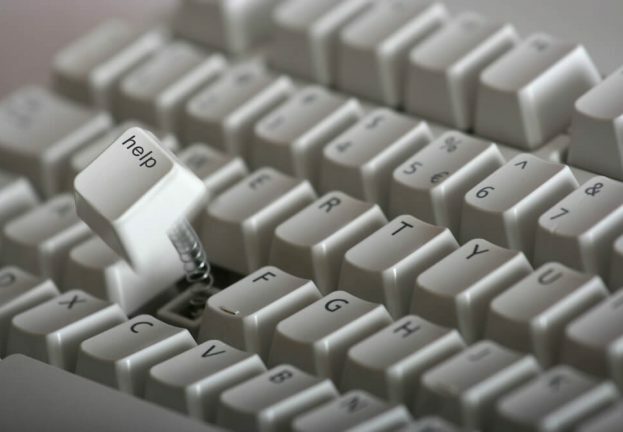 Despite news stories and concerted efforts to provide education and awareness across the US, many people are still not aware of the risks that cyberattacks pose. In 2017, ESET published its discovery of Industroyer, the malware that caused a power outage in the Ukrainian capital city of Kiev. Dragonfly malware was found lurking across US power grid companies (and to our knowledge did not cause any damage, but certainly had the ability to). 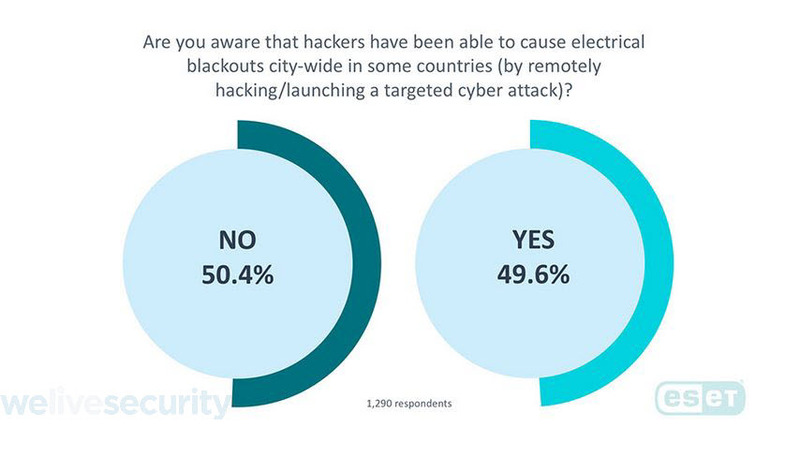 Fifty percent of respondents said they were not aware that hackers have been able to cause citywide blackouts in some countries due to a cyberattack. Prior to both of these incidents, Stuxnet, a piece of malware that infiltrated Iranian centrifuges, took the world by storm. And, let us not forget the not so distant WannaCryptor (aka WannaCry) , a massive ransomware attack that impacted the UK’s National Health System, FedEx, and Deutsche Bahn, along with numerous other victims. Some Americans seem to be skeptical about the transparency and availability of information in relation to what actually causes energy grid disruptions. 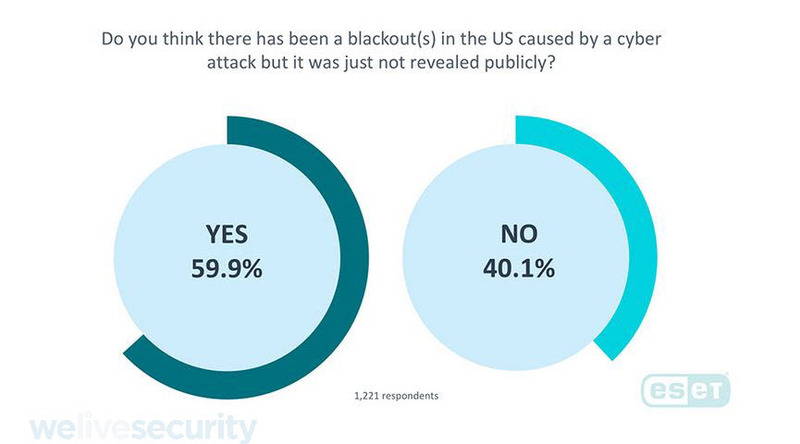 Nearly 60 percent of respondents indicate that they believe there has been a cyberattack in the US that has caused a blackout, but was just not made public. So what is the outlook? 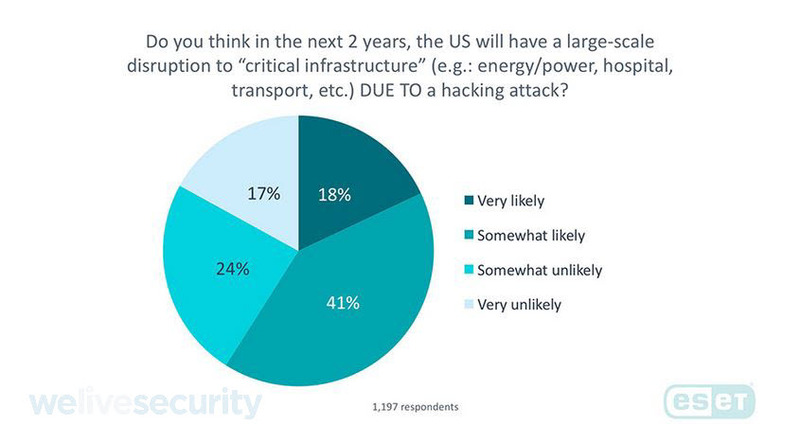 Fifty-eight percent of people say that they believe it is ‘likely’ that the US will suffer a large-scale disruption to critical infrastructure in the next two years. 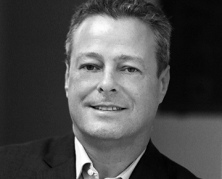 ESET continues to monitor the cyberthreat landscape closely. Read about our latest industrial control system (ICS) cybersecurity research, on the GreyEnergy group.